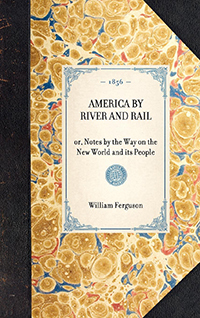 Originally published in 1856, William Ferguson's America by River and Rail, or Notes by the Way on the New World and its People is a diary of his impressions of his travels along the East Coast, out to the states of Illinois, Indiana, Ohio, and Michigan, and through Montreal and Quebec. 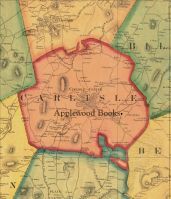 While his stated attempt is to provide a record of facts and opinions, to add to the “mosaic” of knowledge about America without entering himself into the discussion, Ferguson, nonetheless, shows us two sides of America. 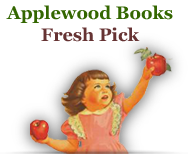 The first is the “noisiest” class, that of the politicians and “money-getters” from whom many previous writers take their impressions of America--much to the negative of her image. Ferguson, however, wants to display more richly that second class he encountered, the quieter, moral backbone of America, those upon whom, he hopes, America will build her future. He finds a society burgeoning with vast natural and human resources, and remarks upon the rapidity of growth in America, especially in the mid-western states. Full of rich detail, Ferguson's work provides insight into the culture and concerns of antebellum American life.